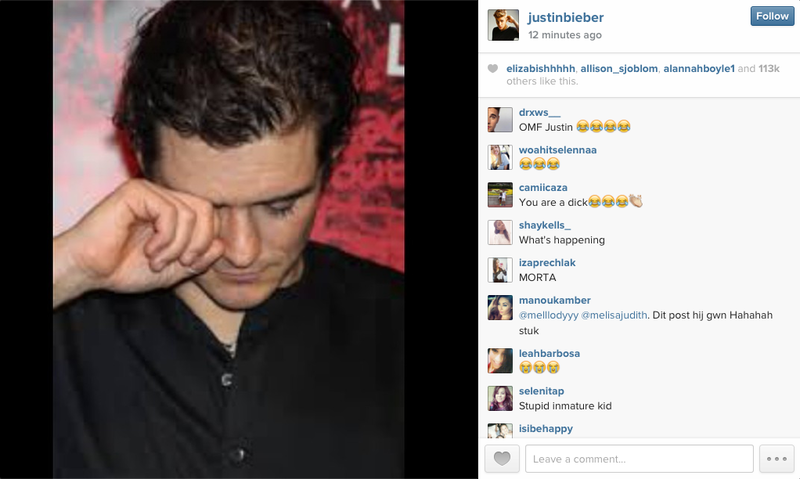 Justin Bieber posted a picture of Orlando Bloom appearing to cry on his Instagram account on Wednesday, one day after the men brawled in Spain (see below). Apparently wishing to continue their beef, the pop star previously shared (and then deleted) a photo of Bloom’s ex-wife Miranda Kerr, with whom Bieber is alleged to have had a fling in 2012. Katy Perry defends borrowing from other cultures, talks about baby plans, and puts pop stars in their place in a new Rolling Stone cover story. She explains, “I’m not, like, a crazy ‘I’m gonna die for my fans’ type. “I’m very grateful for fans’ support, but I’m not thirsty or desperate,” says Perry. If Beyonce had tried to defend her husband when her sister attacked him in that elevator, I don’t think she would be constantly defending her marriage now. Yesterday rumors spread that Beyonce was divorcing Jay Z after she was allegedly spotted apartment hunting without him. 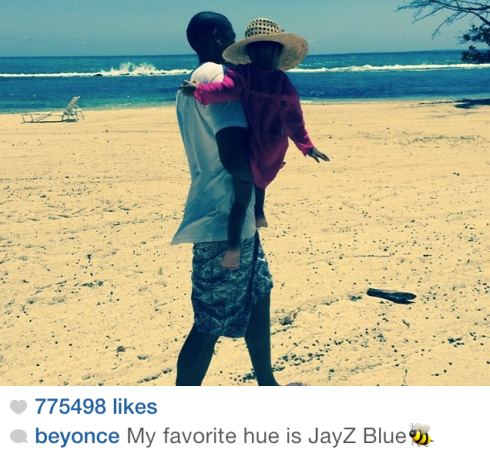 As the rumors spread yesterday Beyonce calmly posted a picture on Instagram of Jay Z and Blue Ivy captioning the photo, “My favorite hue is Jay Z Blue,’, in an effort to rubbish the reports. Miley Cyrus and BFF Cheyne Thomas Give Each Other Tattoos— See the Pics! Miley Cyrus took her obsession for ink to a whole new level over the weekend when she opted to add yet another title to her ever-growing resume: tattoo artist. The 21-year-old pop star and BFF Cheyne Thomas decided to give each other tattoos on Sunday, and of course, the 21-year-old pop star took to Instagram to document the inking process. Miley was the first to tattoo her pal, drawing a small smiley face on Cheyne’s ankle before her bestie took his turn with the needle and provided the “Bangerz” beauty with yet another permanent stamp. Bangin’! 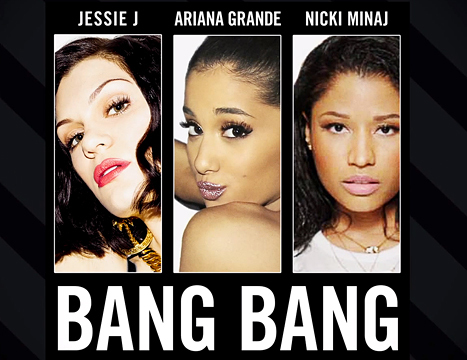 The power trio of Jessie J, Ariana Grande , and Nicki Minaj teamed up to treat audiences to a new single, “Bang Bang,” which debuted with quite the bang on Monday, July 28. Jessie J, 26, enlisted the two talents for the track, with Grande, 21, contributing her powerhouse vocals and Minaj, 31, spitting a verse that perfectly completes the song. “Bang Bang” is the first single off of Jessie J’s upcoming third studio album, due out later this year. Kendall Jenner is making it as a model despite her fame, the reality TV star tells LOVE. Her famous sister Kim Kardashian says of Jenner, “She had to work extra hard to gain this respect and to fight for people to see she’s serious. Ariana Grande opens up about her relationship with her late grandfather — and being estranged from her dad — in the September issue of Seventeen.